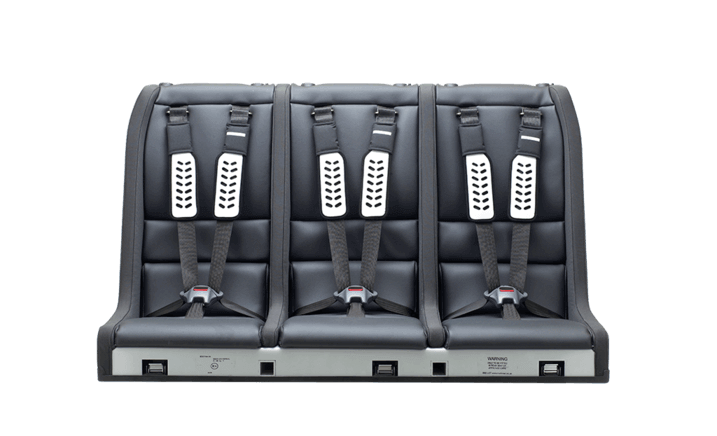 Multimac is secured solidly to the car chassis with tether straps which simply bolt on to the two existing mountings for the rear seat belt buckles. The adult seat belts are not used. It is completely independent of any existing fittings and has been designed as a self contained, energy absorbing structure. Adjustable front legs complete the secure installation. 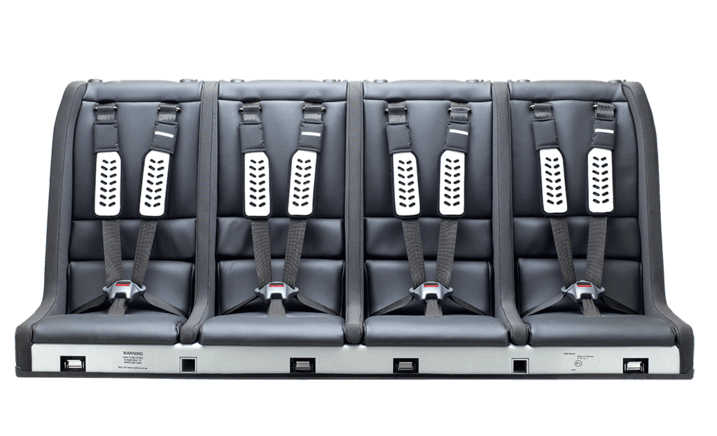 It can probably be best described as ‘big-isofix’, and hopefully all car manufacturers will eventually provide pre-installed Multimac mountings. Imagine you are the average family with 2.2 children – a 3 year old girl and an 8 year old boy. Normally, you will have 2 types of child seat to fit them correctly. If you want to take your son and his friends to a football match you will have to borrow 2 suitable seats. If you want to take your daughter and 2 friends to ballet lessons, again, you would have to borrow 2 other suitable seats. 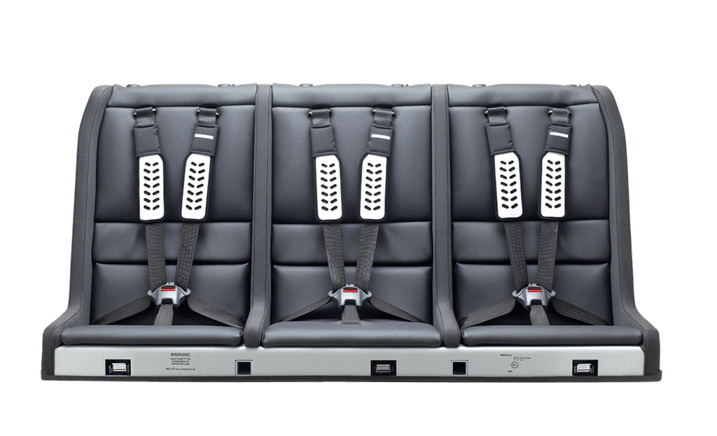 With Multimac, you simply adjust the belts (Adjustamac) and headrests, to take either, with 3 friends safely, instantly and in comfort.